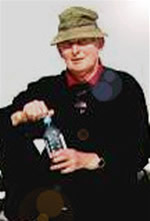 Peter Padfield was born in 1932 and educated at Christ's Hospital. After service as a navigating officer in P&O liners, he gained a berth as a mariner aboard the replica seventeenth century Mayflower on her recreation of the Pilgrim Fathers' voyage and later panned for gold in the disused gold mines on Guadalcanal. He described his time in the Pacific and the Mayflower voyage in his first book The Sea is a Magic Carpet. Returning to Britain, he worked in nautical journalism and in manufacturing industry until the international success of The Titanic and the Californian encouraged him to become a full-time writer. 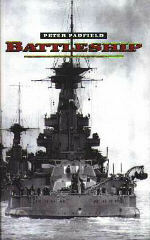 He subsequently made his name as a naval historian with a history of naval gunnery and its effect on tactics (Guns at Sea), a history of the iron and steel battleship (recently reissued as Battleship) and a study of the great naval battles of the French Revolutionary and Napoleonic Wars reissued in 2000 as Nelson's War. 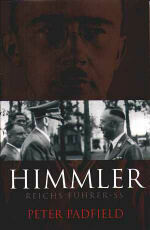 A book on the naval armaments race before the First World War, The Great Naval Race: Anglo-German Naval Rivalry, fired an interest in German history which led him to write a trilogy of biographies of Nazi leaders - Dönitz, Himmler and Hess - reissed by Cassell. 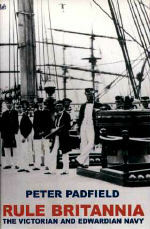 His other books include Rule Britannia: the Victorian and Edwardian Navy, a social history of the P&O lines, the illustrated Armada: a Celebration of the 400th Anniversary of the Defeat of the Spanish Armada, War Beneath the Sea: Submarine Conflict 1939-1945 and the first two volumes of a trilogy on naval power - Maritime Supremacy and the Opening of the Western Mind: Naval Campaigns that Shaped the Modern World 1588-1782 and Maritime Power and the Struggle for Freedom: Naval Campaigns that Shaped the Modern World 1788-1851, the latter of which won the Mountbatten Maritime Prize in 2003. 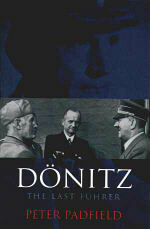 He has also written four novels. 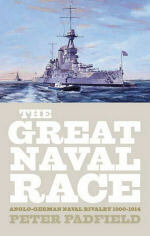 Peter Padfield’s Battleship, the complete history of battleships, has moved into the Amazon top 100 bestsellers. Peter Padfield has written an interesting piece for Routledge on his two-book series Tide of Empires, recently reissued by Thistle Publishing. 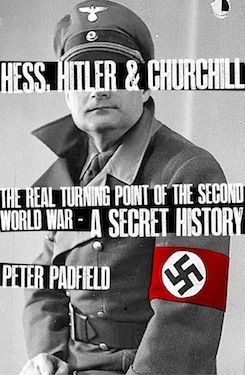 Theo Aronson’s Grandmama of Europe was one of the top 50 most-read Kindle titles in April, while Peter Padfield’s War Beneath The Sea was in the top 100. 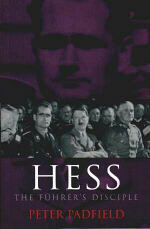 Both are published by the agency’s imprint Thistle Publishing. Peter Padfield’s War Beneath the Sea is at #3 in the Amazon Australia bestseller list.